Everyone wants to be a highly successful entrepreneurs. If you want to be one of them, it is easy, just adopt and follow through their habits. If you look at all the successful businesses and companies out there, they did not achieve the outstanding result in an instant. It is through period of time. Microsoft did not get to where it is today in just a few months time. Nike did not grow exponentially within just a couple of weeks. Starbucks too, takes time to grow into international coffee chain.Rome was not built in a day either. What this means is that all these great companies take time to grow. These businesses succeed not from just making a single decision or doing just one thing that lead them to where they are today. These leaders have gone through tough times, all the ups and downs, their products and services have been tested over and over again by the market, and because of their habits or how they do things repeatedly, got them where they are today. Your habits will determine your future. It is what you do repeatedly that will bring you the ultimate result in your life. When you look at someone who is very successful, it is true that he is hard working. However, you have to understand that he did not achieve all that in just a short period of time. That person must has been very hard working for a very long time, perhaps for the past 10 years, he has been very hard working. When you look at someone who is living in mediocrity and are living a pathetic life. It is not his single decision or action that bring him where he is. Most likely it is due to his own destructive habits that he made a lot of bad decisions and acted on the wrong thing for a long time. And ended up living a bad life. Whatever you see through your eye is just what you see in that instant. You may not know the real situation behind. If you want to learn from successful people, learn from their past experience, look at their lives 10 years ago, learn their mistakes, learn their habits, etc. Don’t learn from those instant millionaire. Just like those who win the lotteries. Yes they may be rich, but they don’t have any substance in them. They are rich due to certain event, but not so much of their own habits. First, money is not everything, but money is VERY important. Successful entrepreneurs will never put in profit or money as the number 1 priority in their business. Yes, making profit and generating money is important, we still need to pay our staff and we need to put the food on the table, right? However, money is ALWAYS not the first thing that will come into the mind of a successful entrepreneur. The main reason being that if you put in all your focus in to making money, what would happen to your business, your client, your products or your services? Every decision you made will be directed toward making money. And guess what would happen? Your product or service would never last long. Yes, making money from your business is something important and it should be on your goal’s list, but not on the top. If you look at rich people like Richard Branson, Bill Gates, Donald Trump, etc, they are ultra rich, but why are the still working? If you build your business for the sake of making profit only, I can guarantee that you will lose your motivation and your drive to run your business after you have reached the comfortable income level. You would take vacation, spend money to buy luxury stuff that is not necessary. You will lose focus and lose your drive the same time. Think about Michael Jordan, when he was still in the basketball team, he already made a lot of money and became a multi-millionaire, but why did he continued to play the game? What about Richard Branson? He is a billionaire, but why is he still working even until today? If profit and making money is the sole purpose for these top business leaders, I believe many of them would have retired when they made such a huge money from what they do. This habit is also shared in one of Forbes articles as well about being a successful entrepreneur. Creating value from money is one of the best examples I can give. Harv Eker shared this in his seminar. He asked 5 of his seminar participants to do this. He gave the first person $5 and asked the first person to buy something from the second person. It could be a pen, a folder, a paper clip, etc. The first person bought a pen from the second person and handed the $5 to the second person. And the second person proceed to buy something from the third person and handed $5 to the third person. This would continue until the fifth person got the $5 and proceed to buy something from the first person. The money will circle from the first person to the fifth person and back to the first person again. From this exercise, you can clearly see that the $5 did not disappear, it was passing through in the market place. The $5 is still there in the “market”, and whenever the $5 passes through, each person get some value that they need, like the pen, paperclip, folder, etc. Can you see it right now? Money is meant to make things happen. It should be spend in a way such that it creates value in everyone’s life. I have read Losing My Virginity by Richard Branson. In one part of his life, he didn’t have any money but he wanted to start a business. So what he did was that he borrowed from his aunt. Sir Richard’s aunt knew that he was going to use the money to start a business, but the money was meant for his aunt’s retirement. Surprisingly, his aunt agreed to loan him to money, and told him that money was meant to make things happen. If the money loaned to Sir Richard was able to create a successful business for him, so be it. This is how Richard Branson got through one of the tough times in his journey to be a successful entrepreneur. So remember, your #1 priority should not be to make money, but it is to create more value for your clients and the society. Money is meant to make things happen, if you spend and you could grow your business to the next level, just do it. How much can you accomplish if you are working on your vision alone? Chances are, not much. If you look at all the successful entrepreneurs out there, they did not work alone. If you’re working all on your own, how much calls can you do in a day? How many articles can you write and read? How many emails can you send and reply? There are so many works waiting for you. You need to consistently follow up with your clients, you need to search for new customers, expand your product or service line, you need to do account for your business expenses, filing activity, decisions to make and problems to overcome. So if you’re working alone, chances are that you won’t be accomplishing a lot. A true entrepreneur will sell you their dreams and their vision. I believe that you will prefer to work in Google than to work in an unknown company. Think about it, why would people prefer to work for those big companies like Shell, Google, Apple, Samsung, Nike, etc? Most people would choose a well-known company than a company that people have never heard of. The main reason is that big companies have a clear vision and they have a big dream. Great business leaders such as Bill Gates, Steve Jobs and Walt Disney have big dreams. They all have a very clear vision about what they want to accomplish. They would sell their ideas to their staffs. And everyone wanted to be partly of something huge, something meaningful and something of valuable. This is why if you want to be a successful entrepreneur, you will need to dream big and sell your dreams to your partners and staffs. This is one of the best way to attract the right team into your company. Jack Ma from Alibaba once said that he would put the customer on top of the list, and followed by his staffs on the second. Can you see how important it is about building a strong team? If you recruit the wrong team members, your company will go down faster than you can imagine. On the other hand, if you recruit the right people into your team, your company will automatically grow and move in the right direction. There’s an interesting book that I strongly suggest everyone to read if they want to build a successful business, Good To Great by Jim Collins. It is one of the best business books I have read so far. Jim Collins said that running a company is just like driving a bus. You’re the driver and you are recruiting your partners which are the passengers you take along the journey. Well, even if you do not know where you want to get to, it does not matter as long as you got the right passengers in your bus, they will lead you, hold you accountable and bring you to the destination everyone wants to get to. Of course, it would be always great if you know your destination up front, so that you can pick up only the right passengers along the journey. And people will hop into your bus and off your bus along the way. Which shows exactly the situation in your business. I would suggest you to read the book to get the full detail about building the right team. What would you do, to improve on your strength or improve on your weakness? Most people would want to eliminate their weakness instead of strengthening one step further in the area where they are already good in. This is because our society and our school system have been programming us in the wrong concept. In schools, if out of 7 subjects, your maths is your worst subject, what would you do? Study more science? Impossible! Most people would spend more time to improve their maths because that is where they are weak in. Wrong. In business, you have to learn to focus more into your strength and not into your weakness. I’m not saying that you should totally ignore your weakness. However, you have to find someone else who is great in where you are weak, to compensate balance the equation. This ideology and principle is explained in Now, Discover Your Strength, written by Marcus Buckingham. Another great book to read. Marcus will show you why improving in the areas you are weak in is not going to make you an outstanding person. Think about it, if you are weak in playing tennis and you force yourself to train your tennis skill, what would happen? First, you will stress yourself and feel that you’re stupid. Second, you might not get a very good improvement even after spending a lot of time training tennis skill. If you’re no good in public relation but are extremely good in creating software, what should you do? Outsource or get a partner or hire someone else to do the PR for you. You should focus in where you are good in, creating software. This is how you can develop an outstanding software and building a successful company in the same time. What To Do With Your Weakness? What you need to do is to find someone else to do it for you. You can get a partner like what Steve Jobs did. Steve Jobs had Steve Wozniak by his side when he was building Apple. What about Walt Disney? Walt Disney has got Roy Disney in his team. You may be great in “dreaming your idea”, but you need someone else to help you to make your dreams a reality. You can’t succeed alone. You cannot build a billion-dollar business empire alone. You cannot play tennis alone. Even if you are playing a single-person sport like golf or driving F1 race car, you will need a coach and a guide to help you. And if you want to go to the top, you will need great competitors and don’t forget about the audience as well. So starting from today, keep searching for the right person and recruit them in. People will come and go, just keep your eyes open. Do you believe in your own work? Are your products really can bring more value to your clients? Are the services that you sell able to benefit your customers? If you have a single doubt in your products or services, you will need to eliminate that thought immediately. It is when you truly believe in your products and services that you will go all out in marketing and promotion. Take a walk in the shopping mall and you can notice those promoters and salesman who are trying to sell you their products. People who have a strong confidence and believe in their products, they would sell to you more aggressively and you can sense that they are confident people. People who don’t believe in their products or services will never really go all out to sell you. They are doubtful whether their products can really perform and benefit you. This is especially true if you are someone close to them, like their good friends, relatives, or family members. Let me ask you this, would you drive a car if you don’t believe in the car’s braking system? What if the car couldn’t stop? You wouldn’t right? It is because you believe that the car will slow down and stop when you press on the brake pedal, that’s why you drive the car, and that’s why you bought that car. Just like you believe that gravity exists, that’s why you don’t dare to jump from a building. When you believe in something, you will never question it and you will just follow through and do it. That is why believing in your products and services are important. Steve Jobs believe in all the products he created with Apple. The Wright brothers believe that it is possible for human to fly in the right vehicle, and they go all out to build the first airplane in the world. And thank them that believe in what they do, else we wouldn’t have the airplanes today. Same goes for George Lucas, he believed in his film and go all out to film it. During that time, you cannot find any technology exist with special effect for space battle film. Everyone told him that it just cannot be done, there was no space movie during his time. However, George Lucas believed in his dream and decided to go for it no matter what. As you can guess, whatever can go wrong just got wrong. No one believed that it was going to be a success, even the actors themselves. the movie exceeded the expected budget, the desired special space battle effect was just not to everyone’s expectation. Everyone thought that it was going to turn out as a kid’s movie. In the end, after the movie was launched, it became a huge hit, grossed over $290 million (that was long ago) and became one of the most successful films in the history. What movie you ask? Star Wars. If you are serious about being a successful entrepreneur, believe in your dream, believe that you can do it, believe that in your products and services, believe in your company and of course, believe in yourself. If you’re not going to do it, who would? Are you having fun with what you do? Richard Branson said that if it is not fun, he will not do it. You do it not so much because of the money, you do it because it is fun. This is what makes you successful. When you love what you do, your work will become your play. So which category do you fit in? The ordinary group is where most people hate their job, they would work hard for the money, spend the money and enjoy the spending, and continue to work hard to earn even more again. The successful group is where they love what they do and they do what they love, money is not their main priority, they enjoy doing it, make money from what they do, and continue to enjoy doing their work. If you don’t like what you do, you should strongly consider changing your work then. You cannot create something amazing if you don’t have passion in it. It is when you truly love it that you would sacrifice your leisure for it, you would wake up early and stay later for it, you would think about it every moment, you would talk about it all the time, and you can’t wait to do it right away. Michael Jordan was great basketball player because he loves playing basketball. Steve Jobs loves computer design with better interface and that’s how he built Apple successfully. Warren Buffett loves investing and makes it his play that he can’t stop talking and thinking about. Want to be better in everything you do? Do more of it, do more than normal people would do. Give much better and outstanding services to your clients that your clients will be impressed. Every successful entrepreneur is successful because he or she is willing to go the extra mile. When your boss ask you to do 3 tasks and you did 5, I believe your boss will impress by your work. If your boss scolded you for doing more, quit and go to other company that values your service. Every customer wants to be treated uniquely and differently. Sadly, most businesses out there are not willing to go the extra mile for their customers. Most people have the mindset that they would only go the extra mile if the client is their VIP client or premium client. Remember, you don’t have to wait for your customers to spend a million dollar in your company only then you provide the first class service to them. You should provide them the first class service and they will spend a million dollar with you. First, put in the coal and only then you can get bigger fire. Don’t expect to get fire if you’re not willing to put in the coal. Go the extra miles also means being proactive. And being proactive means having an active mindset and make things happen instead of being reactive and wait for things to happen. When you go for any function, would you be the person who would just sit there and wait for others to come and talk to you first? Or are you the kind of person who will be proactive and be the first person to speak to others? Well, being proactive and talk to people first is not a compulsory ingredient for success, but if you have this, it will definitely helps a lot in your journey. Let me give you another example, when the economy is down and the market is slow, are you going to sit there and wait for the bad time to pass and the good time to come? Or are you going to do something that will grab more sales for your business? Lexus, a very proactive company showed this long time ago. When the economy was soft, most people rather save their money than to spend it on luxury cars. So the whole automobile market was slow. Instead of waiting for the market to turn around and having low sales, Lexus decided to drive their demo cars to the country clubs and asked those rich people for test drive. Of course, those rich people would take a drive since they all wanted to show their friends. What happen was that the moment those people took a test drive, they decided to book the car. When you test drive a new car, the experience is totally different. And when you get back to drive your old car, you will feel dissatisfy and wanted so much to drive the new car. Guess what, Lexus’s sales went up in the soft market because Lexus decided to be proactive and make things happen instead of waiting for things to happen. I’m sure that all the successful entrepreneurs do give back to the society and do charity from time to time. Big names like Warren Buffett and Bill Gates donated billions of dollars to the charity. Please don’t say that they can do this because they are rich. Would you donate as well when you’re rich? Do you think it is easier to donate $100 or $1 million? The answer is pretty obvious, most people can donate $100 easily. The amount doesn’t matter, the most important thing is that you have the habit and heart to do the charity. If you don’t have the heart, you won’t donate a cent when you have a million in your bank account. Money will only make you more of who you are. If you are someone who values money and someone who will consistently give back, you will go for charity even if you’re not a millionaire. You would wanted to help and start small when you see someone who needed help. Right? So adopt this habit right now. You don’t have to wait until you’re a millionaire to do charity, you can do it right now. Jack Ma from Alibaba said it so well. He said that the biggest change is in the person who donates. When you donate you will feel that you have enough. When you donate you feel that you have helped someone else. When you donate you know that you are giving back and making the world a better place. The change is in the person who donate. So do something good today. If you are holding a fixed salary income job, try to donate a portion each month. It doesn’t matter how much is the amount. You can always start small. And if you are running your own business and not having a fixed income, you can choose to donate a portion whenever you receive the income. If you feel like you don’t have any money to donate, it is alright. You can give your services to help the world to become a better place. Volunteer to help out in the orphanage or old folk home whenever you are free. It will give you a totally different feeling and experience. I have been to the orphan house and bring the kids out for lunch. You can see in their faces that they are so happy the moment they saw people coming for help. Therefore, I urge to give back to the society and the world. It does not matter whether it is in monetary terms or you are giving your time for it, you just have to do it. These are the 7 habits of highly successful entrepreneurs. 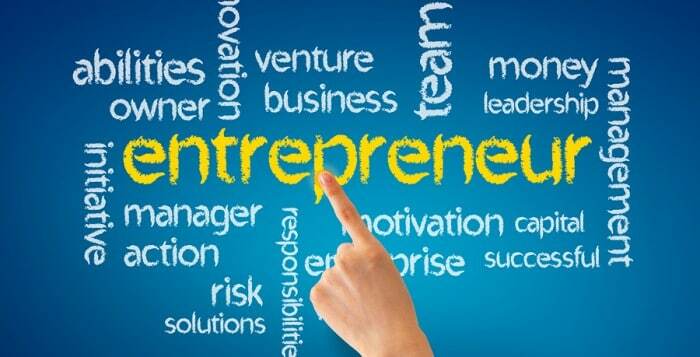 I know that there are more habits and other factors that will affect someone in becoming a successful entrepreneur. Adopting these 7 habits are just the beginning. I’m looking forward to hear your voice in the comment section below. There are lots of things to consider when you’re an entrepreneur. It is important that you have the right support from your team. Having a good relationship with your team is a great factor for success.